The Amy's Greenhouse committee are 5 teachers that represent each grade level.Mrs. Coronios (pre-K), Mrs. Jimenez (K-reprezetative), Mrs. Staropoli (1st Grade),Mrs.Mahoney (2nd Grade). 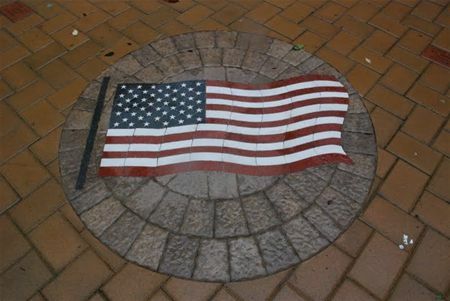 A beautiful custom made brick mosaic flag in a circle was installed in the patio over the summer of 2009. The piece was a gift of US Airways flight attendant Marianne Moore and her colleagues. It was unveiled on the eight anniversary of 9-11 in a ceremony. This year's committee is a hardworking and fun group. Here are four of our members at the Earth Day 2009 Event. 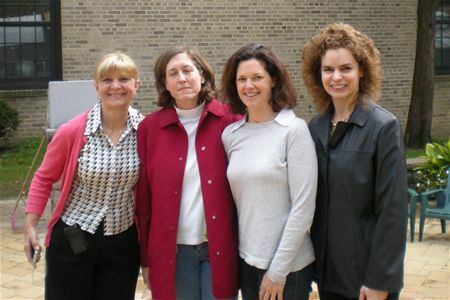 Amy's Greenhouse committee members, from left: Millie Radonjic, Sue Russon, Maura Gallucci and Karen Hessel. This website was launched on 9-11-08 and was created to promote Amy's Greenhouse and Amy's Greenhouse projects. Since launch we have received international emails and a positive response. One upstate New York school district is following our projects, for example. The Greenhouse committee created a tri-fold brochure about Amy's Greenhouse. The brochure was then customized for each class that participated in projects as a keepsake. Brochures were even customized per child occasionally. 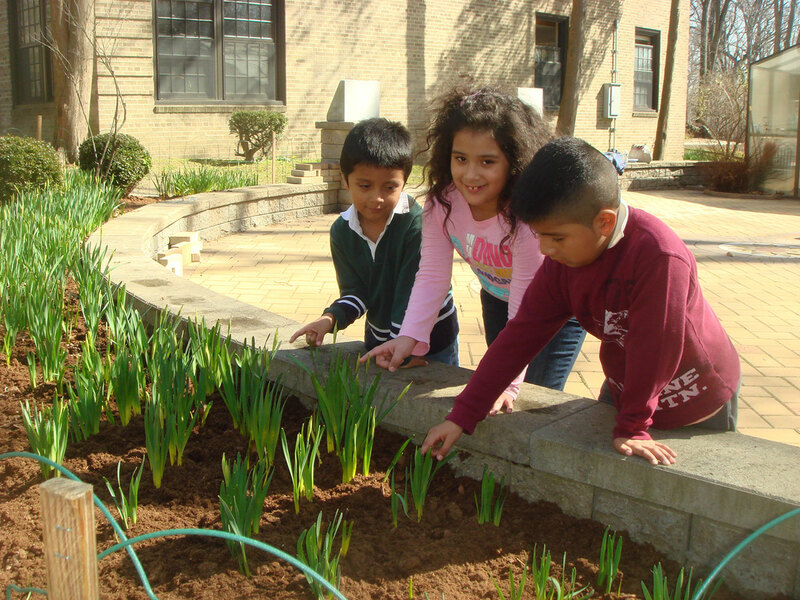 The brochure contains colorful photographs of children participating in activities and a written background of what the greenhouse is about including history, mission statement, and background. An additional brochure was created to promote the sale of customized bricks. 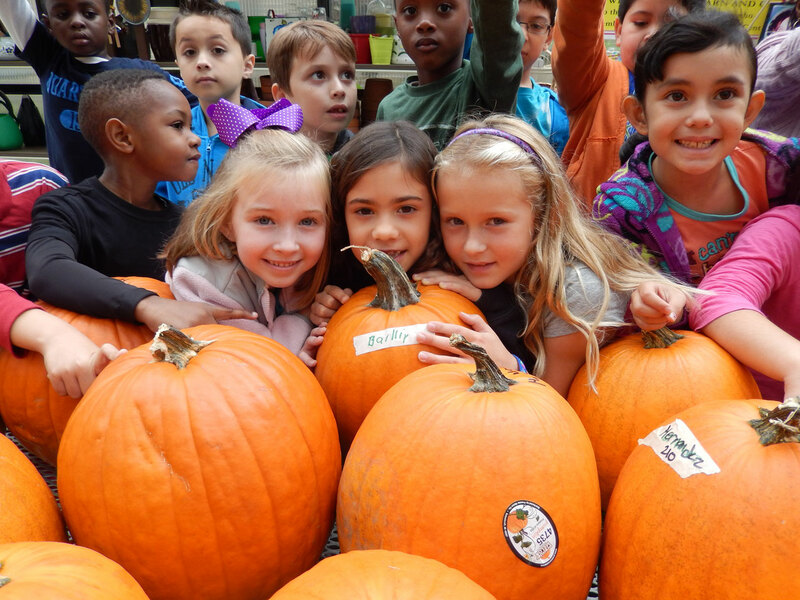 This year the Greenhouse Committee of faculty and parents under the direction of greenhouse chairman, Millie Radonjic included: Mrs. Flores (Pre-K); Miss Calo (K); Mrs. Manno (1st Grade); Mrs. Connolly (1st Grade); Karen Hessel (PTA Representative). Meetings were held on the first Friday of each month in the library. 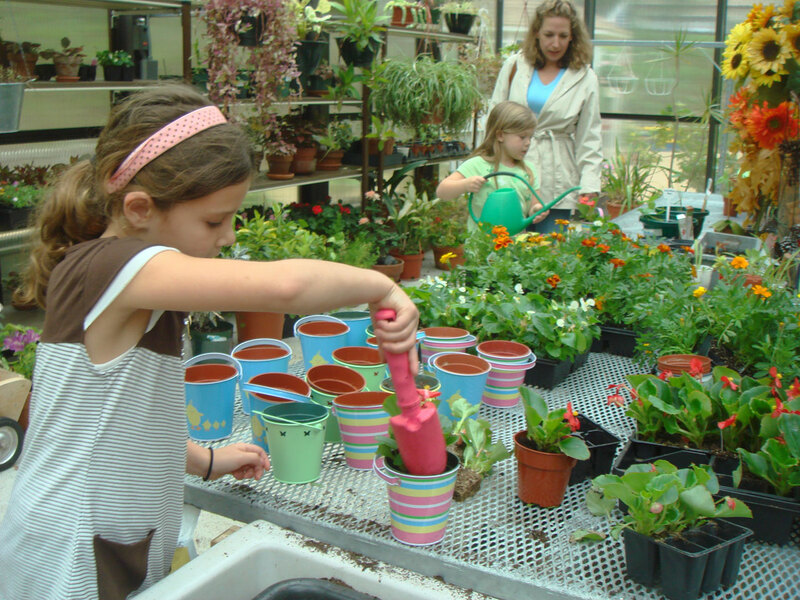 As the major fund raising program for the greenhouse and in an effort to pay for year round gardening projects, the PTA and Greenhouse committee had a very successful Mother’s Day plant sale. Plants were purchased wholesale and then “potted up” and decorated for sale. Mini handbags were donated by designideas.net to sell. The sale was held after the Patio Dedication Ceremony. Hanging baskets were sold on a pre-order basis for $20 each. 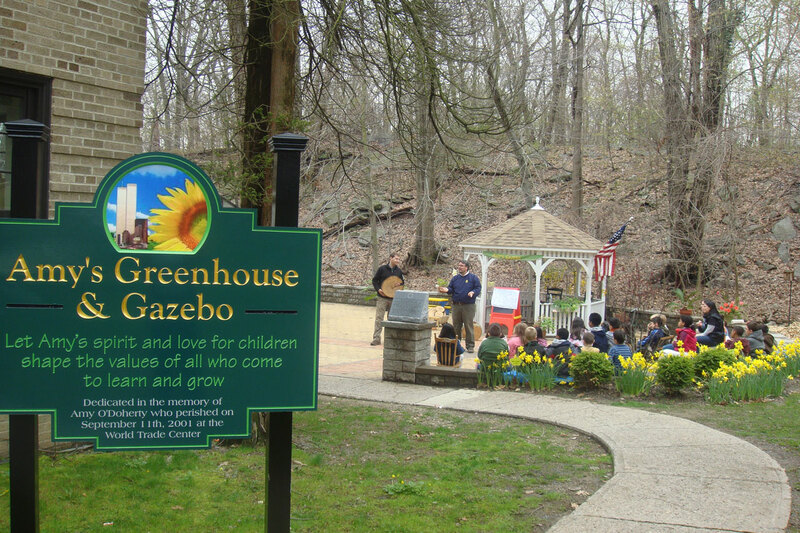 The Greenhouse Committee sold 104 engraved bricks to fund the path of stones, a colorful customized sunflower center medallion, and a large wooden customized sign. A Patio Dedication ceremony was used to unveil the engraved bricks. Sammarco Stone & Supply, Inc. (http://sammarcostone.com/) with owner Frank Miceli donated the material and labor to create a wonderful, extensive patio of paver stones and low walls that connects the gazebo and patio. The patio wraps around the side and back of the patio making the area more useable for larger groups of children and during wet weather. The patio was created in the week around Easter and was built largely when school was not in session. At the request of Geraldine Davie, mother of Amy O’Doherty, the Greenhouse Committee arranged to have built a custom wooden sign carved with “Amy’s Greenhouse & Gazebo”. The sign contains a sunflower and twin tower insert. 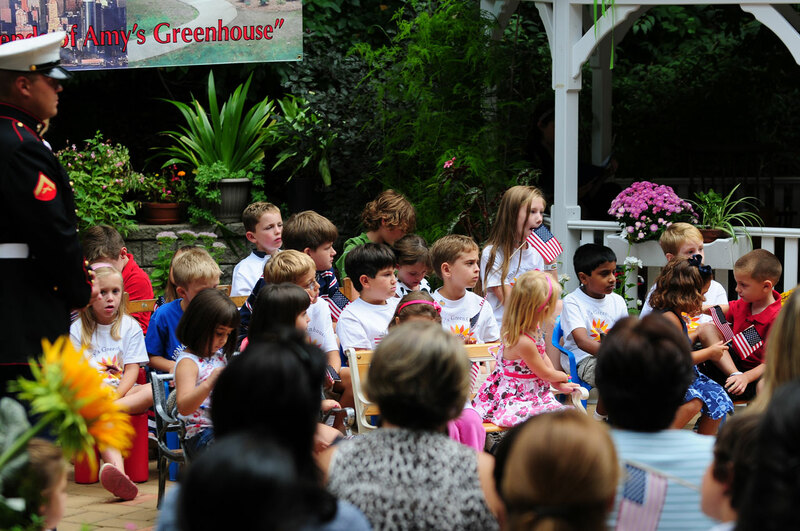 Faculty, PTA members, parents, school administrators and others gathered in Amy’s Greenhouse after dismissal on September 11th for a memorial service. There were speakers and a video presentation. The ceremony included poetry readings and tributes. It was a forward thinking ceremony that honored those lost in the tragic event but took place in the greenhouse that is a place of growth and development. The event was covered by newspapers and television stations. A beautiful ceramic plaque was dedicated to Amy and the greenhouse. The plaque features a photo of Amy, a mission statement for the greenhouse from Patricia Lambert, principal, and a sunflower, Amy’s favorite flower. This year, in an effort to encourage classes to take advantage of the greenhouse independently, Millie Radonjic and the administration set up a Greenhouse Committee of faculty and parents. Each grade level was represented. Thank you to the committee which includes: Mrs. Flores (Pre-K); Miss Calo (K); Mrs. Manno (1st Grade); Mrs. Connolly (2nd Grade); Mr. Horan (Special Ed). Meetings were held on the first Friday of each month in the library. 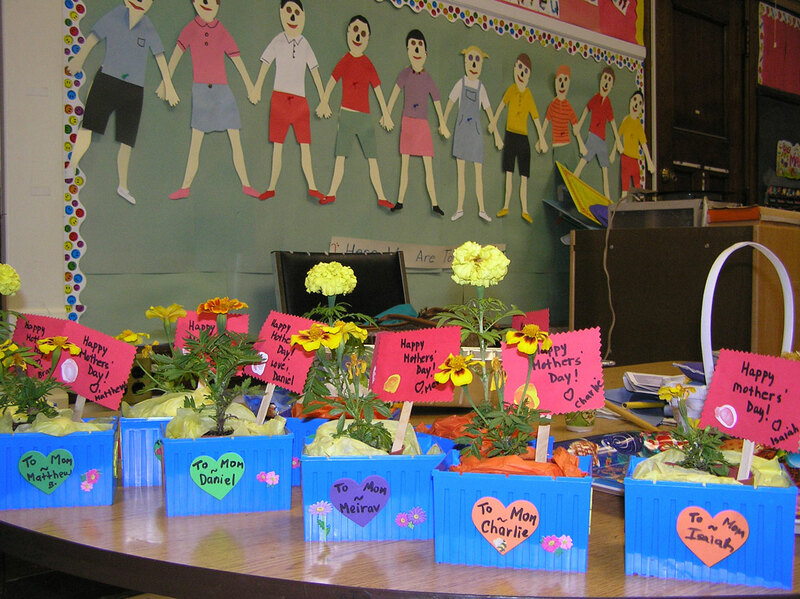 As the major fund raising program for the greenhouse and in an effort to pay for year round gardening projects, the PTA and Greenhouse committee had a very successful Mother’s Day plant sale. Plants were purchased wholesale and then “potted up” and decorated for sale. Mini handbags were donated by designideas.net to sell. The sale was held during Gallery Night to maximize the potential number of customers. Two sale locations were set up, including the greenhouse and the school lobby. Hanging baskets were sold on a pre-order basis. Thanks to Mr. Calo, of Ace Banner and Flag of NYC and the parent of our committee member, for the large and beautiful sale signage. Due to the generosity of local contractors Total Energy Services the greenhouse now has a wonderful, functional sink which was sorely needed. Last year our goal was to get water to the greenhouse, this year it was to get the sink. The sink did not go in easily. Drainage needed to be dug through the concrete floor and down 10+ feet into a French drain. Thank you from the gardeners to all that made the sink possible. Through the donations from Geraldine Davies, the school district and the efforts of Millie, a little luck and, for sure, the beams of sunlight shining down from Amy we now have our beautiful, white, perfect gazebo. Thank you to the donated efforts of Baltazar Landscaping company that created the foundation for the project. Thank you also to Absolutely Amish for excellent discount on the gazebo and thanks to the installation of the gazebo by 4V Corporation, a truly wonderful crew. Thanks to Mr. Calo for the donation of the flag and gorgeous apple green bow.